Thank you for visiting the Pathak developers Website. We are currently in the process of revising our website in accordance with the Real Estate (Regulation and Development) Act, 2016 and the Rules made there under (â€œRERAâ€), which have been brought into effect from 1st May 2016. No information given on this website creates a warranty or expands the scope of any warranty that cannot be disclaimed under applicable law. Your use of the website is solely at your own risk. Until our website is duly revised and updated, none of the images, material, stock photography, projections, details, descriptions and other informationâ€™s that are currently available and / or displayed on the website involving details of the projects / developments undertaken be the company including depictions by banners / posters of the projects, should be deemed to be or constitute advertisements, solicitations, marketing, offer for sale, invitation to offer, invitation to acquire, including within the purview of the RERA. You are therefore requested to directly verify all the details and aspects of any proposed booking/acquisition of units/premises, directly with our authorised sales team. Please do not rely on the information contained on this website, until our revision and update is complete. Please note, that we will not be accepting any booing or allotments based on the images, material, stock, photography, projections, details, descriptions that are currently available and / or displayed on the website. We advise you to contact our Sales Team for further information. Pathak is generation of life style housing.Started in the year 1996 and became channel for better living.Home ownership matters to all of us. We make it much simpler and easier .We access innovative tools leverage advanced methods for constructing and stay on top of the current trends. At Pathak, we understand that building homes is not enough and hence we convert it into long lasting relations. Your troubles are taken care of by us and we support you and guide you through all these problems making your association with Pathak a wonderful experience. Today's fast-paced life calls for a group of property management professionals who can handle its unique challenges. Property Management Services division was started to provide value added facilitation to our customers. From being a property manager handling variety of tasks in Mysore, we are pioneers at construction also. We specialise in construction of luxury apartments, retail and other constructions. 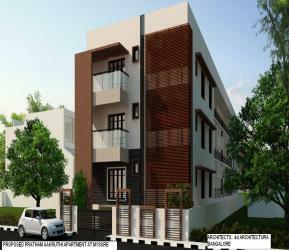 Pathak is the generation of Lifestyle housing. Started in the year 1996 & became a channel for better living. Home ownership matters to all of us; we make it much simpler & easier. We access innovative tools, leverage advanced methods for constructing and stay on top of the current trends. We offer extremely convenient location with easy access to year-round outdoor markets, and other great conveniences, yet there are many opportunities to commune with nature here. Well PATHAK CONSTRUCTIONS are pretty good both as in location wise & cost wise too. I feel Very good and am in fact honored to be associated with Pathak's. I expect good quality of work. I met Mr. PATHAK and had a detailed conversation regarding flats at that time I was pretty convenienced with the talks & discussions had with them and booked a flat. Pathak Construction has been a very practical & a very easy construction company to approach & speak to, they are very generous to the customers. They very easily find solutions by helping the customers choose from various housing choices. Joint development is one of Pathak's help to the society. I was one day surprised to see Pathak sign boards all over the place & professionally barriered similar to the construction sites I have seen all over the world, that rang the bell on my temple & I was convinced the builder would have a vast experience & knowledge on building construction. I am very impressed with Pathak's communication skills, helping the buyer in arranging documents for the purpose of loan in time, Very flexible on payment terms & conditions even though the world is going through a recession down turn. Organizing get together functions & the whole family being a part of it, treating all customers equally irrespective of the financial status. Well we expect you to continue your simplicity, maintain quality, follow MUDA regulations, implement waste disposal as per regulation's, utilize waste minimization techniques, employee one safety officer to each site or a group of site who check's & reports work related safety issues, construction employees to soon have uniform's & safety personnel protective equipment like safety glasses while chipping & hard hat where necessary. First of all thanks for asking my view on newsletter PRATHAM NEWS. 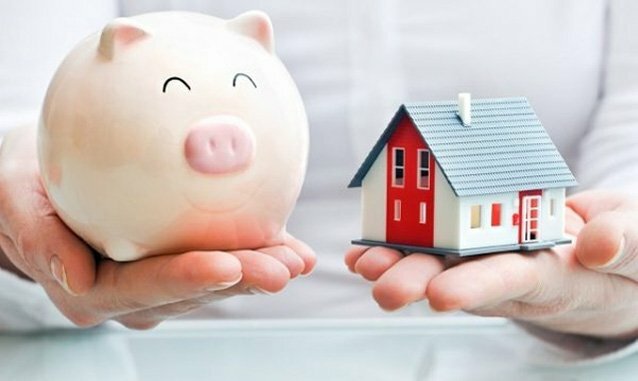 PRATHAM NEWS has always helped to let me know the timely updates about the latest happening in reality market as well as status of various projects at PATHAK CONSTRUCTIONS. Apart from knowing about my project work progress, it also enlightens me about the various works being currently undertaken at PATHAK. This has allowed me to share the current projects undertaken at PATHAK CONSTRUCTIONS with my friends and colleagues. A picture is worth a thousand words and current project work status shown in news letter in picture format is what I admire the most. I would like to make a following suggestion for giving a better idea to customer on project status. You can have a tabular format for work planned against Actual work completion given against time (month wise). This will help customers know if there is any slippage in work progress and will provide greater visibility. 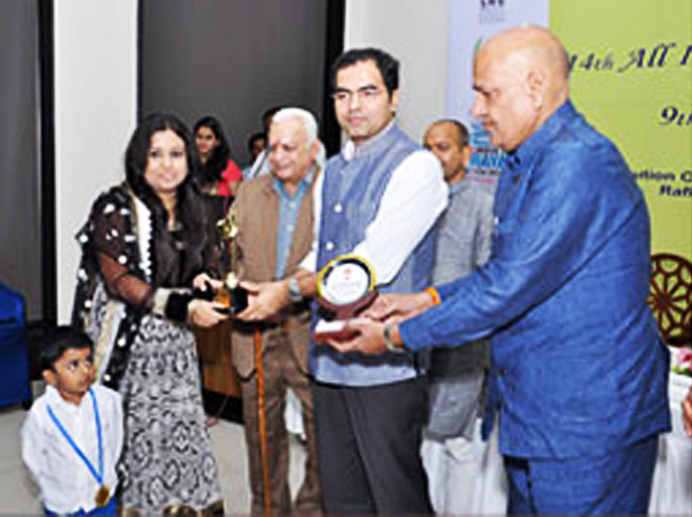 I view Pratham News as a medium of transparency in dealing with clients. I am happy about their services and am proud to be associated with them. I know Pathaks since more than two decades. A business venture from a family with a philanthropic background are sure to serve men like us for long. I wish Pratham news and the Pathaks a long endured success. I am very happy to see the quick progress on the site. The Service offered is really good. The customization of individual flats is taken extreme care in all the ways. Directors are very flexible to us, regarding the updation of the plans, changes etc., we are always updated regarding the progress of the site. There are no hidden costs which is actually good for a customer. Their challenge was to start in the month of October and complete in the month of March I feel that we will occupy our houses much before that with such great pace of work. Wish you good luck. Pathak developers understand the need of customer and quiet good in discussions. I always find even if you have concern somebody is ready to listen, Locations they are selecting for all projects are really key locations, I could find all the things committed were completed as per schedule. Sending pictures and details about the site work progress was really good and confidence building measure from the team Pathak. Being not in Mysore does not affected the things way I wanted even you are communicating from Pathaks team from long distance they understand you and I can say this is good solution for NRIS. I do not have doubt that Pathak present team can succeed in all the way due to the customer orientation they are expressing. Wish you all the best. - Rahul Vitthal Parbhane, BE Mech. MBA, Operations Head, Q-Tec Switchgear WLL, Doha Qatar. I have no word to explain better than "THE BEST" people to work with as an NRI . It was my great pleasure to finish "OUR DEAM HOME" in my Mother land, so I cannot get better than that with on time work in progress and best communication each and every part of the developments.It is our great pleasure to working with you and I will recommend to any one who wants to have Home in Motherland will be recommended highly with Pride and dignity.Thank you for the your staff and customer services !!!!!!!!!!!!!! Thank you and God Bless you and your family for future Projects. - Mohan & Ramaa Rao, Technical Director, Universal Biosciences,Inc., United States. I am quite pleased with my interactions with Pathak representatives. They have been very flexible and accommodative of my payment plans. I appreciate the regular status update I get from the team regarding my flat. I wish the team all the best for all future projects, and keep up your good work! - Mr. Lokesh Saravanan, Software Engineer, Cognizant Technological Solution, US. "I have bought this with my own money and am really happy about it. It gives a good feeling to receive such a best finished project. I have really liked this project and am thankful to the entire team of Pathak’s especially Mr.Madhusudhan who gave us such a wonderful project. I had planned to sell this apartment but now I feel like staying here for a while and then gift it to my daughter so that she can rent it out and earn a recurring sum from it." - Mrs.Dhanani, Women Entrepreneur, Owner of F-2 , Kuvempunagar, Mysore. "There are many builders in Mysore these days, but one such is Pathak who delayed the project a little bit due to constraints like non availability of cement or sand due to strikes and non availability of labour. They crossed all hurdles and have come out with a very good building. I specially thank Mr. Madhusudhan (Director, Pathak developers Pvt Ltd) who has been in touch with me for a longer time and has always been there throughout the construction. I would also like to thank Mr. Shrihari Pathak (Director, Pathak Developers Pvt Ltd) and his sister Mrs. Shradhha Pathak (Director, Pathak Developers Pvt Ltd) and also congratulate them on the successful completion of the project. There are a few people behind the scene that I know who have worked hard for this project and I would like to thank Mr. Ravi, Mr. Affan (Project Manager, Pathak Developers Pvt Ltd) and Mr. Sameer (Project Engineer, Pathak Developers Pvt Ltd)." "I wish to express my feeling of delight on wonderful execution of the project. Care on every aspect, finishing, signages, lift and selection of material and tiles were absolutely spot on and added to the aesthetic appeal. Such an end to end completion helps in optimal usage of men and materials also helps in cost reduction and eventually customer delight. Wishing you success with your ongoing projects, I feel that with such approach your customers will come forward and be your biggest sales team ensuring greater success and goodwill"
We had few questions but not major ones. One big question was if you will be able to deliver the flat on time because of its delay in start. Now looking at the progress we are happy. Not to forget the deal was definitely transparent and all the information about the project is with us. We always wondered as to how you can manage round the clock security, common area lighting, AMC of the lift and etc, in just Rs. 1 per sqft, per month, per house from only 6 houses. But, PPMS is the answer! 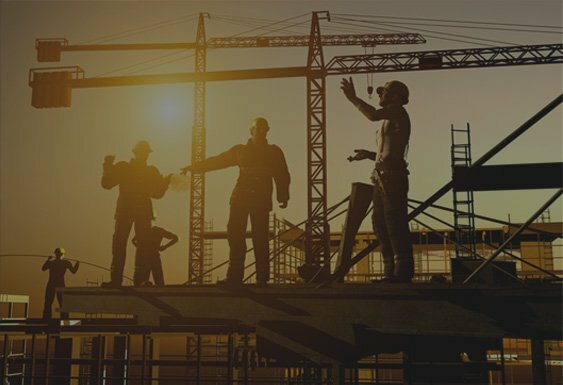 Dealing with Pathak’s has always been transparent and we are timely updated with the progress at every stage and we have all the information about the project. 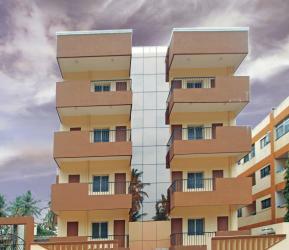 We are happy to associate with M/s Pathak Developers for our apartment. Every little query has always been answered and there is clarity in every step. Also, the deal is very much transparent. We are happy to note that we are getting all the updates on the Project.